This is a 60cc bottle of HPI Pro Silicone Shock Oil. 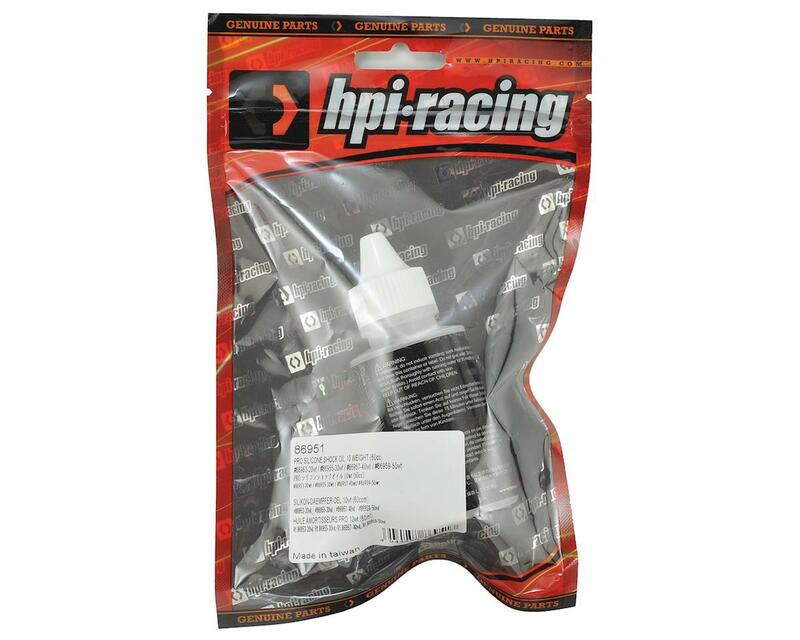 HPI Racing has expanded their shock oil choices, giving racers a wide variety of weights to choose from for precise shock tuning. 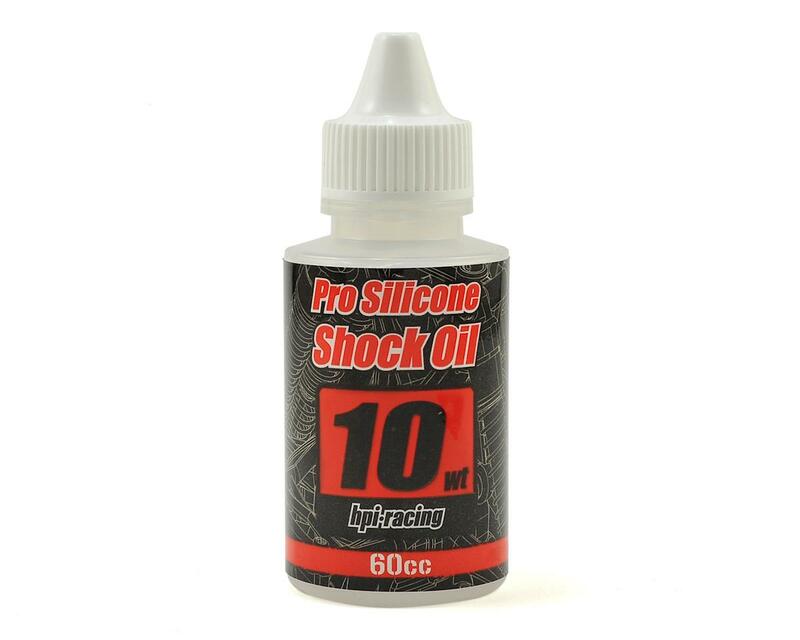 High quality 100% pure silicone shock oil resists the effects of temperature changes better than petroleum based oils, the benefit for racers is more consistent shock dampening throughout the day. Packaged in convenient 60cc bottles and clearly marked weights for easy identification in your pit box. Perfect for most oil filled RC shocks.